In late June, President Obama visited Africa and announced a historic plan to double electricity access in the Sub-Saharan region. This ambitious plan, dubbed Power Africa, intends to add more than 10,000 megawatts of power to the country thereby turning on the lights for 20 million new African households and businesses. And, not a moment too soon. In the wake of global climate change, Africa’s population of more than a billion people has experienced more and more drought exacerbated by water shortage and rising water/food prices. 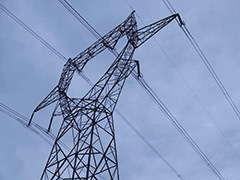 Blackouts and interruptions in electricity service are not uncommon, existing sources of power consist mainly of fossil fuel and coal and approximately 70 percent of Africans aren’t connected to the power grid at all. These poor souls must rely on rechargeable LED lights distributed to villages by aid programs like the World Bank’s Lighting Africa. The bottom line is that any increase in resources would most likely be welcome. However, it’s just as vital to start Africa off right with clean and efficient energy platforms. With a combination of funds from the U.S. and a host of private entities, the price tag for Power Africa is well over $15 billion - not to mention the billions that China has recently thrown Africa’s way. Still,the significance of this proposed plan seems to add up to more than the sum of its parts. There is symbolic meaning behind such change. Here is an unprecedented chance to bandage wounds and at least partially make up for all the times African has gotten the short end of the proverbial stick in global affairs. But, perhaps more importantly, here is a chance to not repeat the same mistakes we made regarding energy infrastructure in established first world countries. In other words, the so-called “Dark Continent” may finally see some light and, for once,actually benefit from America’s growing pains. Posted on September 4th under Renewable Energy Sources.